The Dominion of Canada wasn't born out of revolution, or a sweeping outburst of nationalism. Rather, it was created in a series of conferences and orderly negotiations, culminating in the terms of Confederation on 1 July 1867. The Great Coalition was formed. 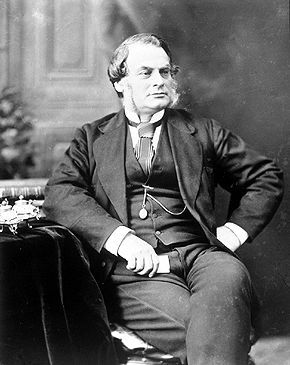 Reform leader George Brown joined a coalition with John A. Macdonald's Conservatives and George-Étienne Cartier's Bleus, starting the process of Confederation in the Province of Canada. The ministers of the Great Coalition were sworn in on June 30. John A. Macdonald attended the Charlottetown Conference to persuade the Maritime provinces to join Canadian Confederation. Confederation was debated at the Québec Conference, where the Québec Resolutions were agreed upon, paving the way for Confederation. John A. Macdonald is said to have written 50 of the 72 resolutions. A party of Confederate agents based in Canada raided the town of St. Albans, Vermont. This northernmost land action of the American Civil War caused much tension between Great Britain and the United States. Incidents like the St. Albans Raid increased fears of American expansion north in the lead-up to Canadian Confederation. 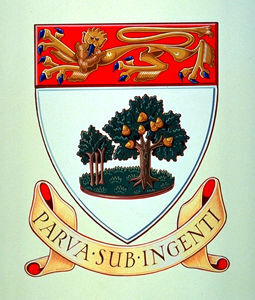 The legislative council of the Province of Canada adopted an address urging the Imperial Parliament to pass legislation to achieve the union of British North America. The Assembly adopted the address on March 11. The New Brunswick government, led by pro-Confederation Leonard Tilley, was defeated in the only election held on the issue of Confederation. Sixteen delegates from the Province of Canada, Nova Scotia and New Brunswick met with the British government in London, England. During the three month conference, delegates reviewed the Québec Resolutions — creating a document that would form the basis of the British North America Act — chose "Canada" as the name of the new country and designated it a Dominion. Amor De Cosmos' resolution calling for "the admission of BC into Confederation on fair and equitable terms" was given unanimous support by the colony's legislative council. A royal proclamation declared that the Dominion of Canada would come into existence on July 1. In the first general election after Confederation, the Conservatives won a majority with 101 seats to the Liberals' 80; Sir John A. Macdonald, who had been chosen prime minister by the Governor General when Canada was created, remained prime minister. 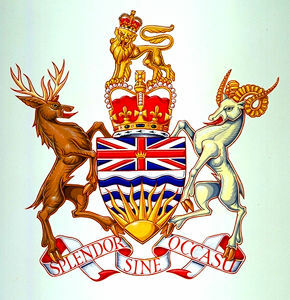 The Rupert's Land Act was passed, allowing the Crown to declare Rupert's Land part of the Dominion of Canada. The Hudson's Bay Company surrendered Rupert's Land to the Canadian government. 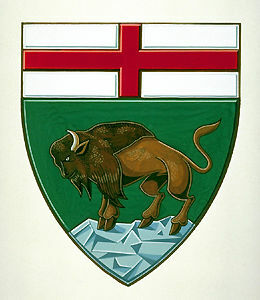 The Manitoba Act went into effect, making Manitoba Canada's fifth province. 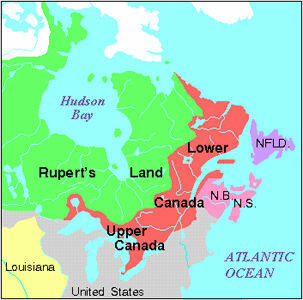 The British Crown officially transferred Rupert's Land and the North-Western Territory to Canada. These lands comprise present-day Manitoba, most of Saskatchewan, southern Alberta, southern Nunavut, and northern parts of Ontario and Québec. British Columbia entered Confederation as the sixth province. 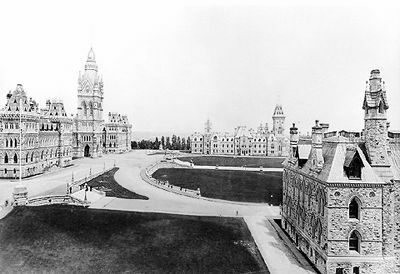 The legislature met for the first time after Confederation on 15 February 1872. The first post-Confederation treaty was signed at Lower Fort Garry, Man. The first of many “Numbered Treaties,” Treaty No. 1 was signed between the Crown and the Ojibwa and Swampy Cree Nations. The treaty included the provision of livestock, agricultural equipment and the establishment of schools in exchange for ceding large tracts of Aboriginal hunting grounds. 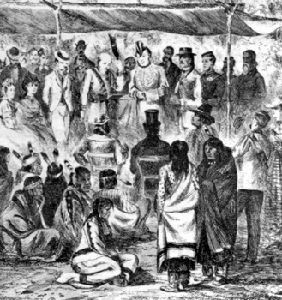 Treaty Number 2 was concluded with Chippewa of Manitoba, who ceded land from the mouth of Winnipeg River to the northern shores of Lake Manitoba across the Assiniboine River to the United States frontier. Prince Edward Island entered Confederation as Canada's seventh province. Treaty No. 3 was signed by the Saulteaux (Chippewa) of northwestern Ontario and of Manitoba. For the surrender of a tract comprising about 55,000 sq. miles, the Dominion Government reserved not more than one square mile for each family of five and agreed to pay $12 per head and an annuity of $5 per head. Treaty No. 4 was signed at Fort Qu'Appelle, Sask, with Cree, Saulteaux (Chippewa) and other First Nations. Treaty No. 5 was concluded at Lake Winnipeg ceding an area of approximately 100,000 sq. miles inhabited by Chippewa and Swampy Cree (Maskegon) of Manitoba and Ontario. Treaty No. 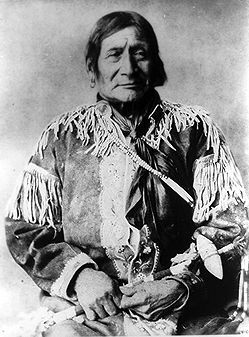 6 was signed at Carlton and at Fort Pitt with the Plains Cree, Woodland Cree and Assiniboine. It ceded an area of 120,000 sq. miles of the plains of Saskatchewan and Alberta. Treaty No. 7 was signed at Blackfoot Crossing in southern Alberta by the Blackfoot, Blood, Peigan, Sarsi and Stoney. 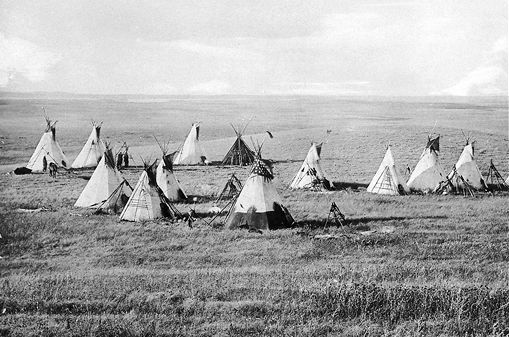 Canadian officials understood that by the treaty First Nations surrendered some 35,000 sq miles of land to the Crown in return for reserves, payments and annuities. By Act of Parliament the Yukon became a separate territory with a commissioner and partly elected council. 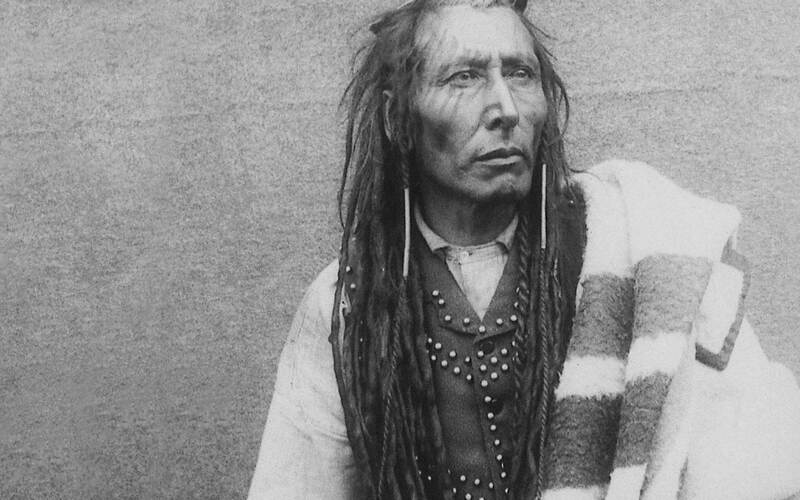 Cree, Beaver, Chipewyan and Slavey First Nations ceded territory south and west of Great Slave Lake in northern Alberta to the federal government in Treaty No. 8. 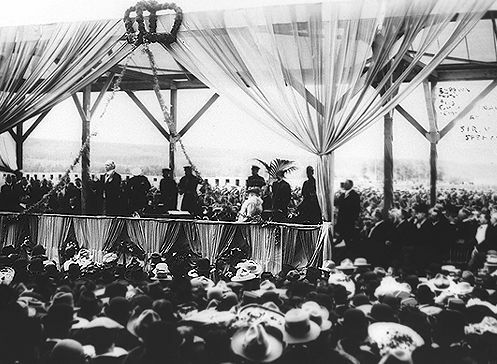 Alberta and Saskatchewan entered Canada as the 8th and 9th provinces by two federal Acts which received royal assent on 20 July. Alberta's boundary with Saskatchewan was set at 110°, though Albertans wanted 107°. The Acts (Autonomy Bills) declared that the West was to have non-denominational schools. Newfoundland lost its Dominion status due to its financial situation; its constitution was suspended and it reverted to a Crown colony. 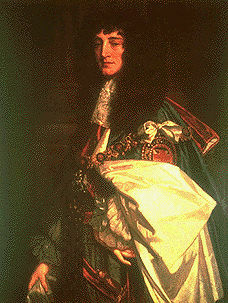 Newfoundland began its government by a Commission appointed by Britain. A Newfoundland referendum resulted in 69,000 votes for self-government, 64,000 for union with Canada, and 22,000 for no change in the island's status. Another vote on 22 July showed a majority of 7,000 for union with Canada. Newfoundland entered the Dominion of Canada as the 10th province through an Act of Westminster. The first session of the legislature was held at St. John's on 13 July. 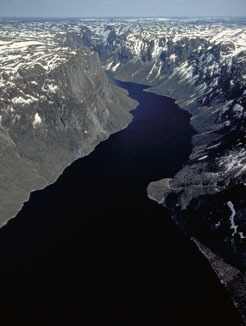 The federal government established a committee to negotiate land claims in the Yukon. 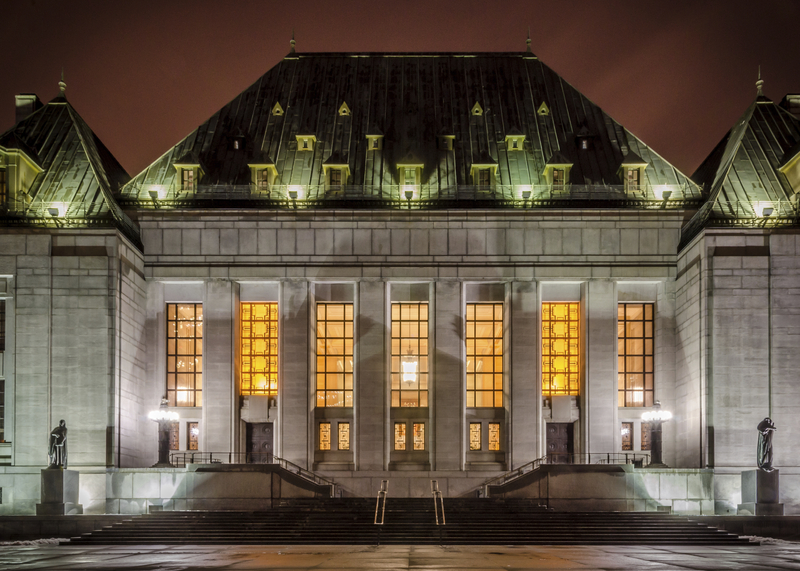 The Northwest Territories Supreme Court allowed the Indian Brotherhood of the NWT to file a land claim for one-third of the NWT. 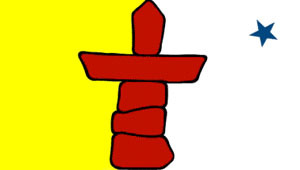 The Inuit endorsed the creation of Nunavut, a semi-autonomous territory, in a referendum. 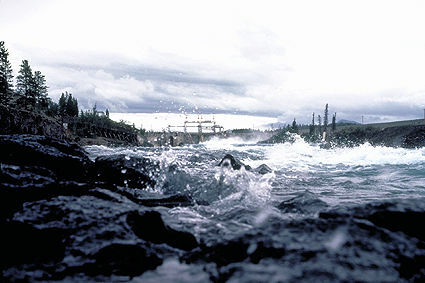 Federal and provincial officials signed an agreement of land claims with the Nishga'a in northwestern British Columbia. The Final Agreement calls for cash payments to the Nisga'a of approximately $190 million over a period of years, and recognizes the communal ownership and self-governance of about 2,000 km2 of Nisga’a lands in the Nass River Valley. Residents of the Northwest Territories voted to keep that name for the western part of territory after the eastern part became the territory of Nunavut in 1999. The new territory of Nunavut, covering some 2 million sqare kilometers of the eastern Arctic, was declared as part of Canada's first territorial changes since Newfoundland joined Confederation in 1949. The House of Commons voted 217-48 in favour of a bill that would give the Nisga'a of northwest BC the right to self-government. The band received 2000 sq km of land and $253 million. In return they agreed to pay taxes and relinquish future claims. 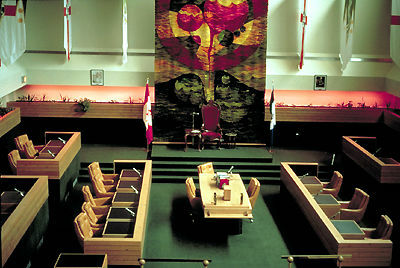 The Nisga'a Treaty was given royal assent by Governor General Adrienne Clarkson. The Nisga'a Final Agreement, recognizing Nisga'a lands and self-government, went into effect. Tsilhqot’in First Nation was granted title to 1,700 km2 of land in British Columbia after a Supreme Court of Canada ruling, the first to grant a declaration of Aboriginal title to a First Nation.